So another outfit for you guys! I actually love this combination of blue and yellow, I actually had a couple outfits using this combo (here and here) but I wanted to try using soft colors! 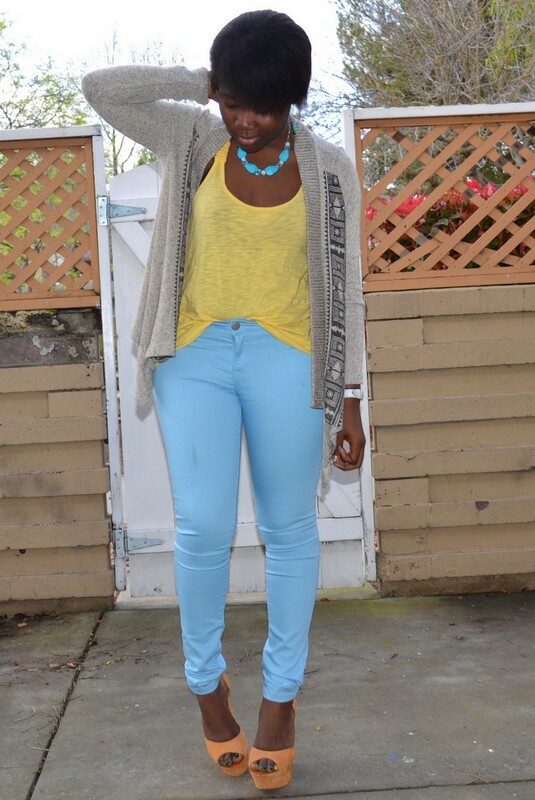 I bought the pants on the F21 site and I really love them! Une autre tenue pour vous! 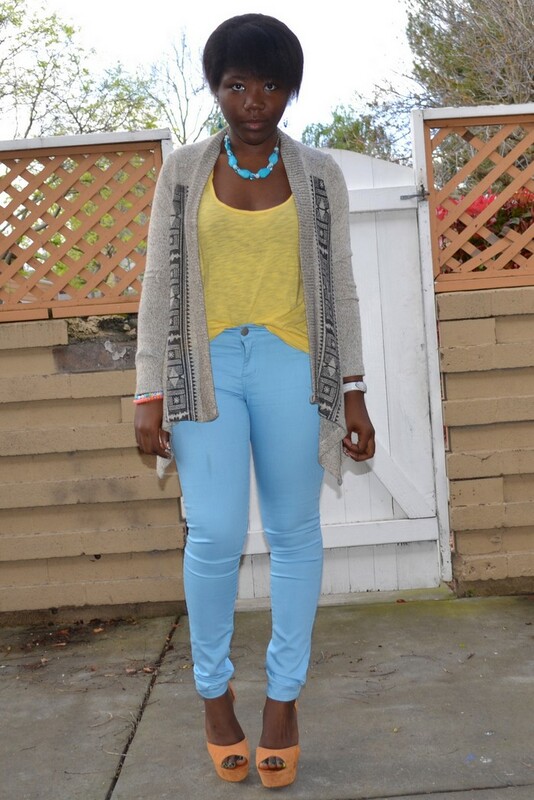 J'aime beaucoup cette combinaison de bleu et jaune, j'ai deja 2 tenues avec ce combo (ici and ici) mais je voulais essayer avec des couleurs plus soft! J'ai achete le pantalon sur le site de F21 et j'adore! i really love this outfit :) the shoes are so glam !!! where did you get them from ??? You look great!! I love the color combination, and I love your shoes!! i would love to raid your shoes!!! love e outfit! love the shoes and colors!! The soft colours work so beautifully in this outfit. You look so chic dear, love those shoes too. Yes I agree, love them a lot!! Thank you dear! 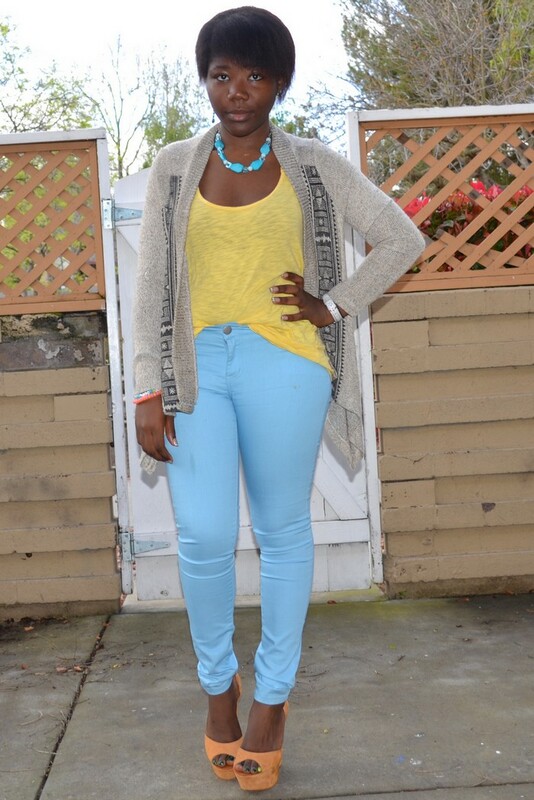 Love the blue and yellow combo, Diane, and the orange heels are so fab! Thanks for your lovely comment! woaw! j'adore ton look Dee! j'aime TROP tes chaussure! WOWOWO j ai raté des choses dis donc! j'aime trooooooooooooopppppppppppp cet outfit! le bleu turquoise, le cardigan, la sandale! trop jolie miss!! j'espère que tu vas bien, t'es rayonnante sur les photos! love,love,the colour of the pants,royal blue looks great on you. 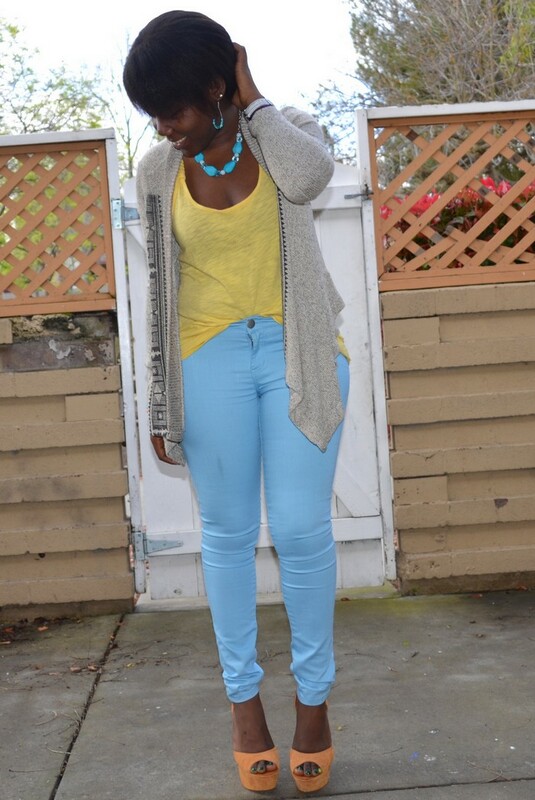 i love the color combo and the jeans are fab!! 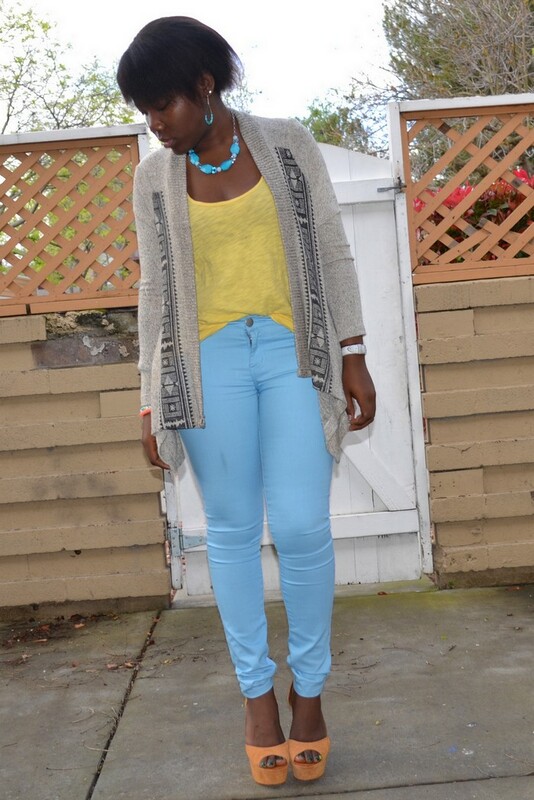 The neutral with the pastels = cute! You're so good at mixing colors man! Thank you Jacque! Aw so sweet of you! Thank you very much Maria! I'm glad you like it! j'aime la tenue, et surtout les chaussures. Ce slim + ces chaussures = perfection!! I adore the colors here. All of your outfits are so coordinated. These soft colours look amazingggggg on you!!! !